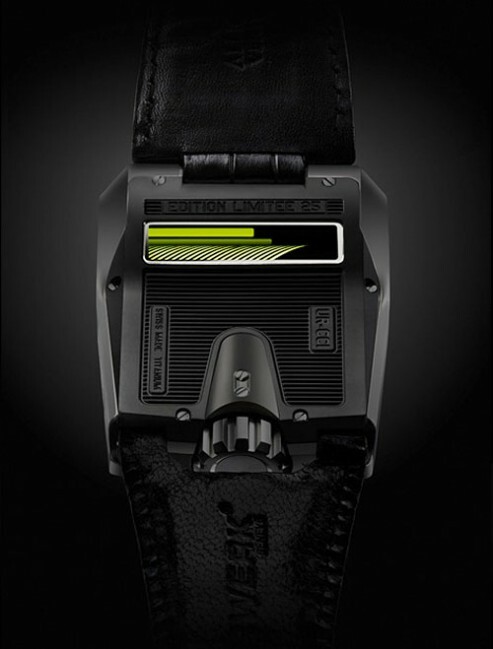 UR-CC1 AlTiN is made from grey gold case tranformed into black, to further emphasized on black character and black heart. Designed in limited edition of 25 pieces, you could imagine how high the sky will be when it talks about price. 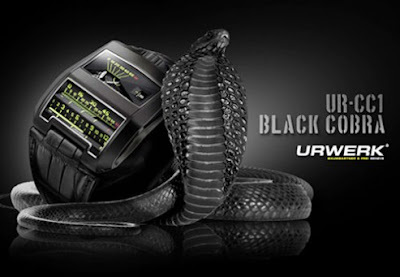 Hold on the “Black Cobra” face and you will see two unusual indications: jumping hours and retrograde minutes. 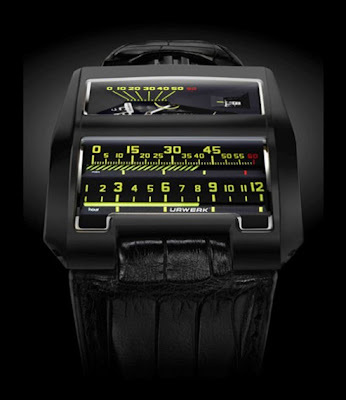 UR-CC1 AlTiN designed with Bright yellow glowing from black anthracite is the only luminous evidence emmetting from this reptilian machine. The hours and minutes count down the time by moving linearly. 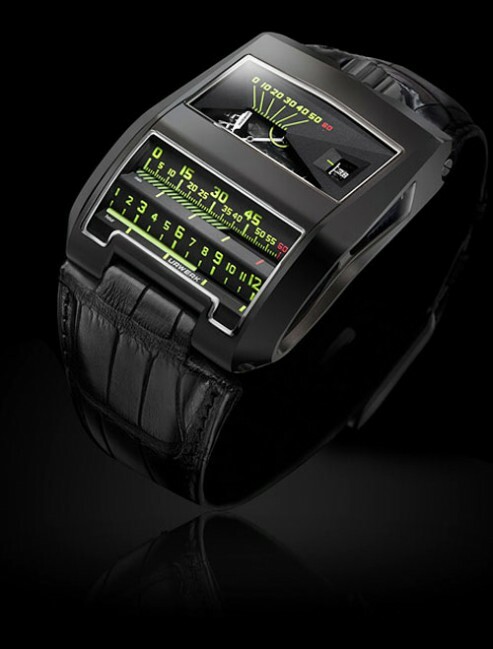 UR-CC1 AlTiN is a timeless creation and the fruit of multiple inspirations: the talented and avant-garde watchmaker Louis Cottier (1894-1966); a reflexion on the myriad dimensions of time; and even a fond reminiscence of the linear instruments panels found on some old American cars. 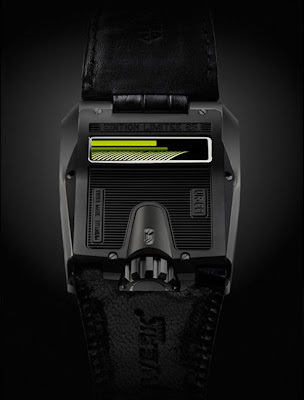 bridges decorated with perlage then treated with black pvd, movement components decorated with perlage, micro-blasted, complication components diamond-cut and mirror polished, gold case micro-basted then treated with AlTiN, titanium base plate treated with PE-CVD.